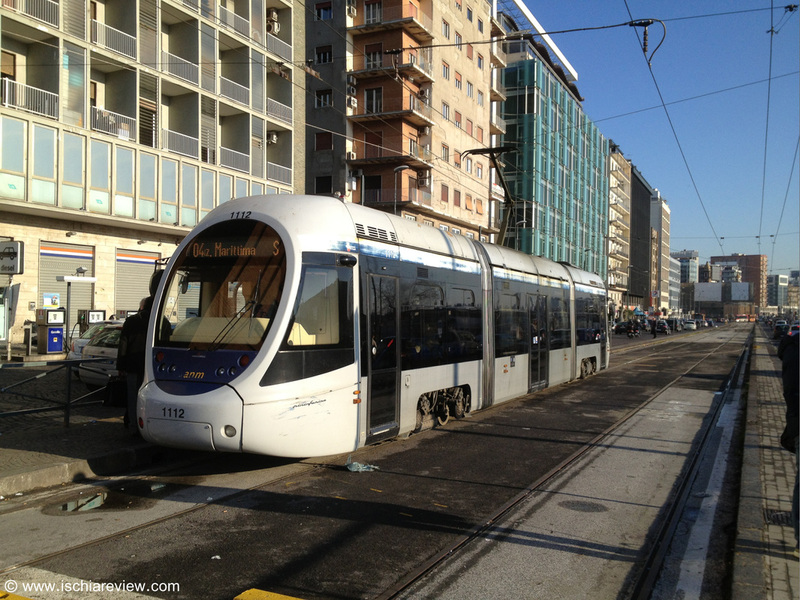 Guide to buses, trams and taxis in Naples from the airport and the ferry and hydrofoil ports. We also provide advice on trains to Naples and reaching Naples by car. 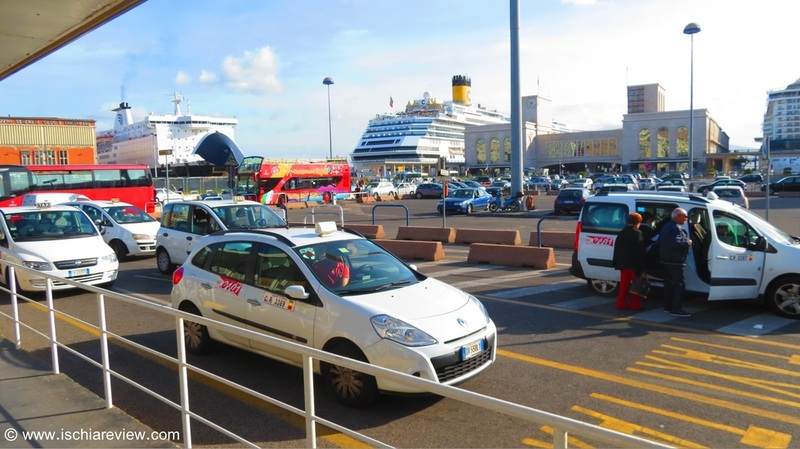 Guide to bus and tram services from Naples airport and train Station to the ferry & hydrofoil ports that connect with Ischia. 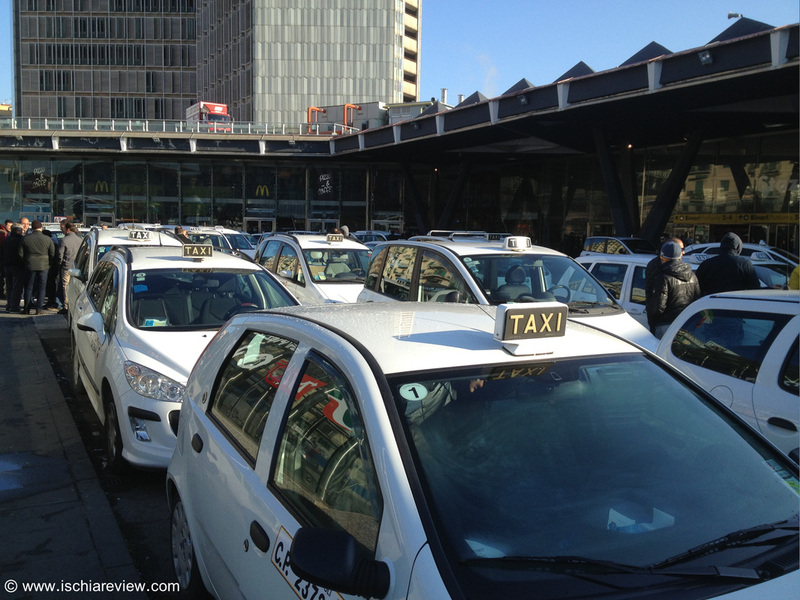 Guide to taxis in Naples including prices between train station, airport and maritime ports. Guide to rail services to Naples from the rest of Italy including estimated journey times and example prices. Advice on driving to Naples including guide to ferry ports and estimated driving times from major cities in Italy. 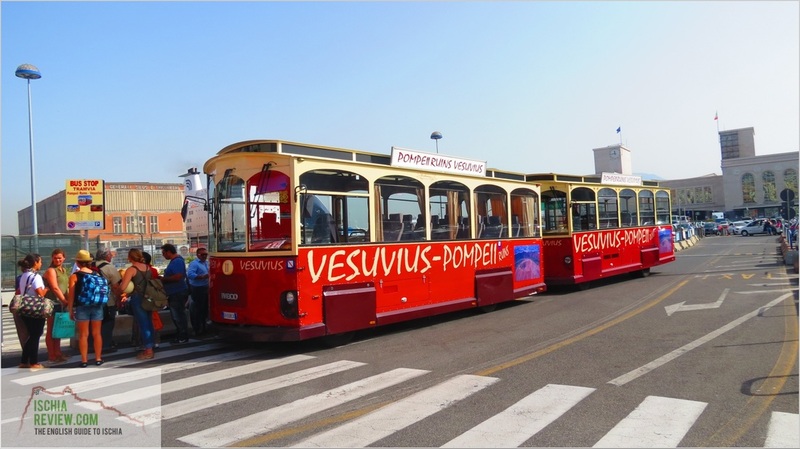 Travelers from Ischia wishing to visit Mount Vesuvius or the ruins of Pompeii can catch the shuttle from Beverello port in Naples. 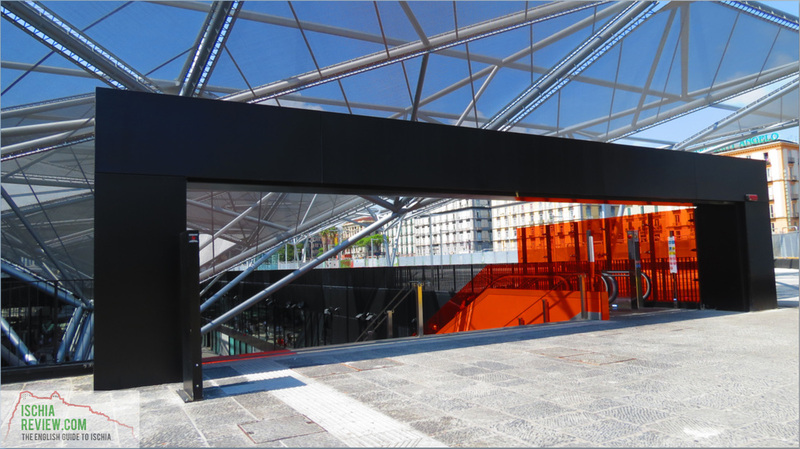 How to get from Napoli Stazione Centrale to Naples Beverello Port using the underground metro train system.